Looking for central Pokolbin accommodation, for Cessnock accommodation, or perhaps enjoy an alternative to any Hunter Valley hotels or resorts? 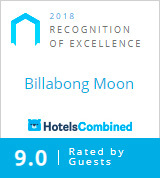 Perhaps you are seeking some Large Group Accommodation, Hunter Valley Luxury Accommodation or a Hunter Valley Retreat in one of the beautiful surrounding areas of Rothbury, Lovedale, Broke, Wollombi, Millfield, Gresford, Branxton & Elderslie? Guests of Hunter Valley Stays can unlock the doors to one of our 60 'review worthy' individual, and high quality properties, and experience a truly memorable stay. Whether it be for pure relaxation, a romantic getaway in one of our snug Hunter Valley cottages, a corporate escape to rest and grow, a fitness and wellness retreat, or an ultra-lux destination for a wedding or milestone celebration. In season all year round, there’s a property for every taste, and we cater to those who wish to spend a little or indulge a lot.